Alicia Searcy on the runway! 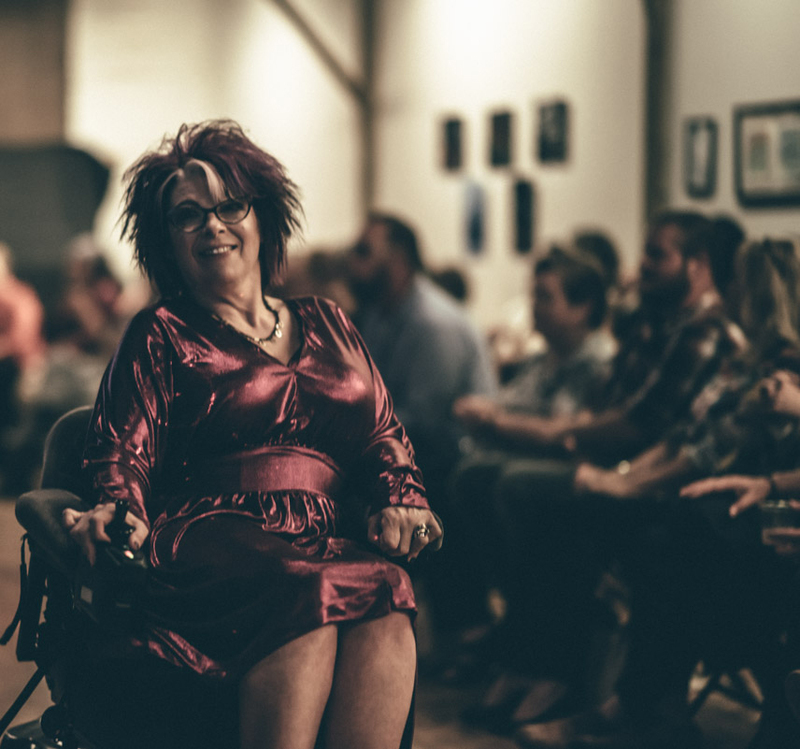 Alicia Searcy has become Nashville’s go-to girl when it comes to fashion for people with disabilities, a mission first ingrained in her long ago without her even realizing it. Her mother had a love for style and made sure that her daughter, regardless of having cerebral palsy and using a wheelchair and crutches, was well dressed. Fashion was fun and a way of life in her family as a kid, long before she ever dreamed of the opportunities for spreading advocacy and empowerment that would come much later. “As a little girl growing up in New York City,” she explains, “I was always well-dressed. My mother had a talent for sewing, and she would sometimes make us matching outfits. As a teenager with almost no money, I relished every high-waisted pair of bell bottoms and platform shoes (Yes, I wore them. On crutches, no less.) that I could get my hands on.” Clearly, the apple didn’t fall far from the tree. Alicia loved finding a sense of style that would be her own. As part of her love of style, she writes a blog, Spashionista.com, which, she says “was really born out of the desire to show the world that people with disabilities can and should have the right to look put-together and stylish.” At first, the blog was mostly aimed at giving ideas of what styles would and wouldn’t work for wheelchair users. As time went on, she became more involved with the Nashville community, and her blog began to broaden its spectrum. She was afforded the opportunity to attend Nashville Fashion Week, to support the Nashville Fashion Alliance, and to become friends with some of Nashville’s biggest fashion designers. Many of those designers hadn’t before worked with someone with a disability, and Alicia, through her own real-world example, showed her new-found friends why fashion for people with disabilities is so important and influenced designs to make them more conducive for people with disabilities to wear with ease, comfort, and style. Model Kimmie Jones at "Fashion is for Every Body"
I had the pleasure of attending Nashville’s first inclusive fashion show for people of all ages and abilities, Fashion Is For Every Body, the brainchild of Alicia and her friend, Krystle Ramos, owner of Pura Vida Vintage. Alicia spoke eloquently about the need for more inclusion in the fashion world and was adamant that there is room in the fashion industry for people of all body types. The fashion industry agreed, as support for the show spread across the industry and the city. 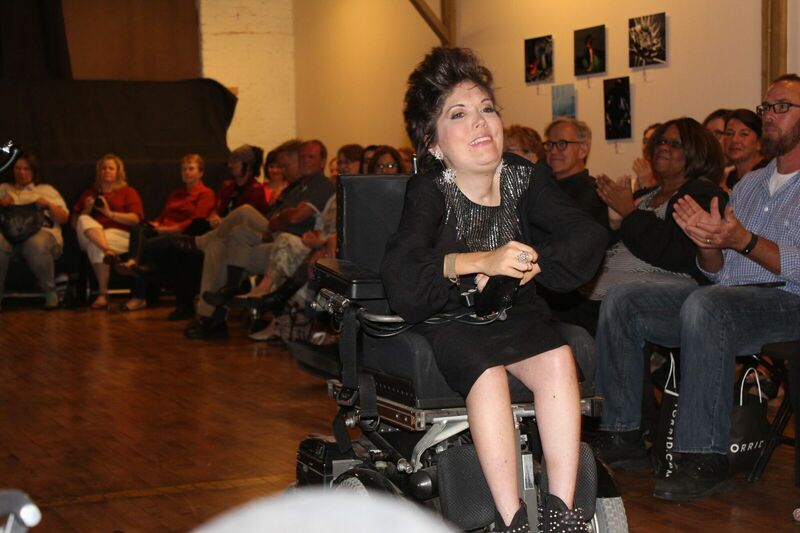 The sold-out show was a true testament to the notion of inclusion, as models who have walked the runway at New York Fashion Week, Nashville Fashion Week, and beyond walked the runway in the same show as people with disabilities who had never before modeled. 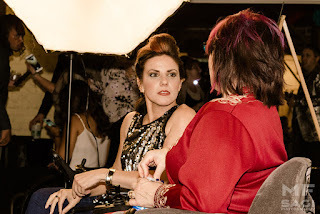 As one model with a disability put it, this wasn’t a stereotypical “A Very Special Fashion Show” in any way but a true and credible fashion show from beginning to end. From rockstar wear to vintage, elegant gowns and suits to unique pieces viewers may only see on a runway, every model’s unique body was superbly dressed. Designers were on hand, pride written on their faces that their designs were included in such a groundbreaking show. In between collections, montages of interviews with models and designers highlighted different aspects of the inspiration behind the show, from feelings about their own bodies, what it meant for the models with disabilities to feel body-positivity maybe for the first time ever by being in the show, how the designers came to realize having never previously given much thought to people with disabilities and fashion that there was such an important segment of the population who felt that fashion was off limits to them when they met Alicia, and the importance of David Bowie in fashion culture, whose fashion sense served as an inspiration for the concept that fashion has the power to transcend culture. Alicia with Heidi McKenzie of "Alter Ur Ego"
The montages also discussed where Nashville stands in its accessibility and acceptance for people with disabilities. After all, Alicia and Krystle first met when Alicia fell in love with the clothes at Pura Vida Vintage but, at the time, couldn’t enter the store because it was then located in a historic building that was ADA exempt. The women worked together towards a solution, and Alicia has increasingly made more people aware of obstacles for those with disabilities to explore fashion and that these obstacles are just sometimes access to buildings. The montage interviews indicated that Nashville has come a long way in accessibility and acceptance but still has room to grow. If the success of the show is any indication, Nashville is poised and ready for that growth. 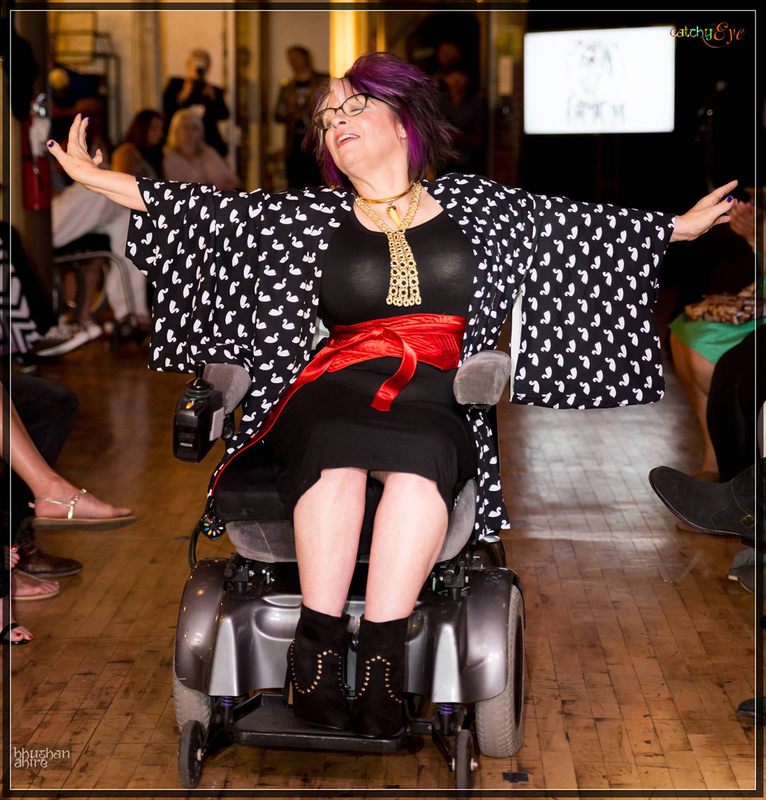 Alicia Searcy is certainly a trailblazer in fashion for people with disabilities, but really she’s a fashion icon for all. With her dream collaboration between people of all body types and abilities becoming a reality, all people can now see models on the runway with whom they can relate and maybe can even believe for the first time that their own body is beautiful and worthy of exploring the vast world of fashion.